While cosmetics and medical applications of animal testing are more prominent in terms of public knowledge, there are virtually unlimited uses for animals in testing procedures. Typically, the most common ones of biomedical research and drug testing are regularly covered in the media and elsewhere, but there are actually still many applications that warrant the use of animal testing. The study of evolution is a complicated one and researchers are still unravelling many of the mysteries around evolution that were prompted by Darwin's initial explanations and teachings of evolutionary theory. Researchers find animal testing quite useful for understanding genetics and evolution. By inbreeding mice and other laboratory animals for several generations, researchers are able to create specific genetic characteristics in the animals. With known genetics, researchers can effectively analyse how changes occur as well as manipulate genes to produce desired results for animal models of disease. To learn more about evolution, researchers examine many different kinds of animals, both in the laboratory and in the animal's natural habitat. One criticism of this type of research is that it is not applied and practical. Instead, it is argued that it revolves mostly around academia. However, this type of research quite often underpins the more practically based types of biomedical research and thus, it has its benefits. Animals are used to study the brain and how it functions. Researchers will anaesthetise an animal and investigate the physiological aspects of the brain as well as how disorders relate to behaviour. They are also used to study behaviour and cognitive functioning. Rats, fruit flies and other animals are often used for behavioural experiments, where they are analysed for their responses to a particular environment or how they interact with one another. This type of experimentation entails transplanting the live tissues, cells or organs of a specific species into a different one. Non-human primates such as monkeys are commonly used for xenotransplantation experiments. 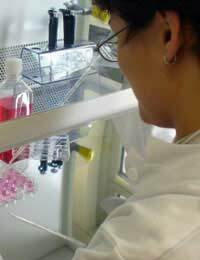 Current research in the United Kingdom has involved transplantations from pigs to non-human primates. There has, however, been some controversy surrounding the practice because one experiment obtained a license for a moderate level of suffering. In actual fact, the suffering was later determined to be substantial and it was suggested that researchers downplayed the level of suffering so that it would be easier to obtain the license. Still, this type of research - assuming it is performed ethically - has its merits, given the number of people on current waiting lists for organ donation. The idea of obtaining usable organs from another species still requires much experimentation but scientists can learn a great deal from experimenting between animal species at this time, with practical implications for humans hopefully in the future. Animal uses in testing and experimentation are extremely broad and it is expected that they will continue to play a large and important role in generating new knowledge about the human body and the world we live in. It is similarly important, however, that experimentation is performed ethically and in line with local legislation regarding animal testing. Continued use of animals and improvement in our knowledge as well as alternatives to animals can only occur if animals are respected and treated humanely throughout their use in animal testing.